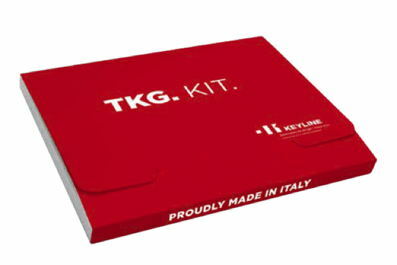 The TKG Kit, which is newly available at Tradelocks, is an expansion to Keyline’s already extensive cloning capabilities. Increasing both the cloning coverage of the machines and increasing the services of any auto locksmith or key cutter who owns one of the Keyline cloners. In order to clone with the Texas 80-bit transponders for Toyota you will need to use the CKG Carbon Chip along with the TKG Electronic Head, and must first activate the TKG. All you need to do is insert the TKG Electronic Head, which is included in the kit, into your device and then wait for the activation confirmation. Once is has been enabled, the electronic head can be used to clone 1 Toyota(r) 80-bit transponder key. The TKG Kit, which comes with 1 TKG Electronic Head, is now available at Tradelocks along with the new CKG Carbon Chip. The carbon chip doesn’t require battery as it works through inductive coupling with the cars control unit, but it can only be used once. The Keyline TKG Electronic Head comes with a removable chip, meaning you are either able to use it with a TOY47U Horseshoe Key or take the chip from the electronic head and fit it into a TOY47T Pod Key.